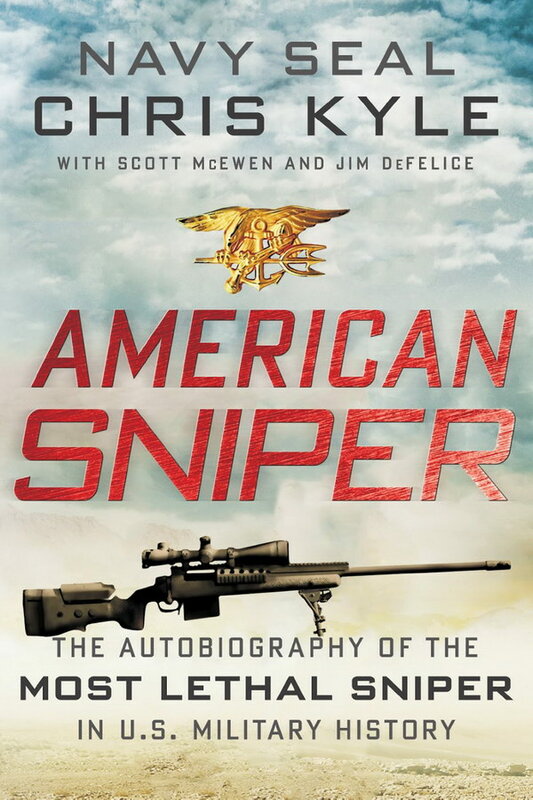 American Sniper font here refers to the font used on the cover of the book American Sniper, which is a memoir of SEAL Chief Chris Kyle, the record-holding sniper in U.S. military history. The book title on the cover is probably set in Bank Sans Caps EF, which is a variation of Bank Gothic designed by Morris Fuller Benton in 1930 for the American Type Founders. The word “American” is probably set in Bank Sans Caps Condensed Oblique while the word “Sniper” is probably in Bank Sans Caps Medium Oblique. Details about them can be found here. In addition to American Sniper, Bank Gothic typeface is also used in the following logos, movie posters or album covers etc., including: ER, Monster, Square Enix, The Day After Tomorrow, Solid State, LXG, Lockout, Secretariat, X-Men Origins: Wolverine, X-Men Apocalypse, Quarantine, Hunger Games, Agents of S.H.I.E.L.D., Gridiron Gang, America’s Army.